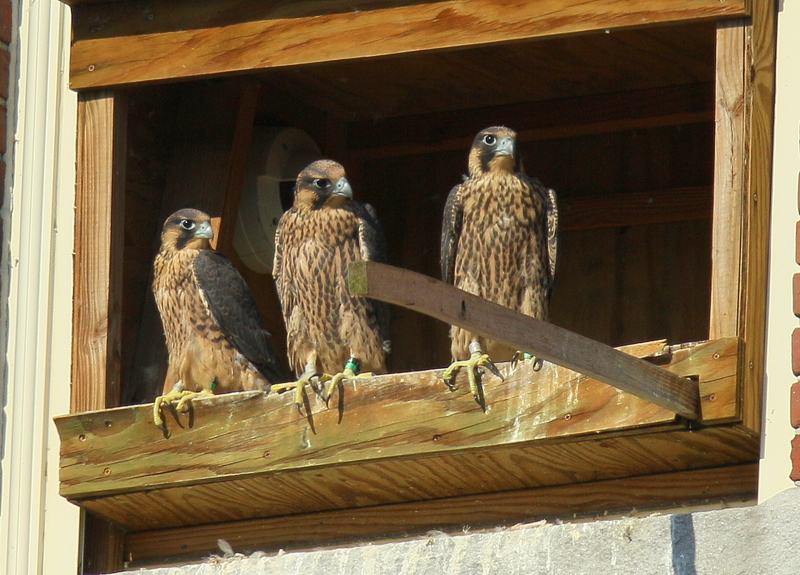 Lawrence Peregrines: 3 amigos waiting to fledge! And then there were three! The remaining peregrine falcons remain in the nest box and will likely fledge over next few days!